Fairhurst were commissioned by AWPR CJV to carry out an Independent Design Check of the Aberdeen Western Peripheral Route (AWPR) and A90 Balmedie to Tipperty Scheme. 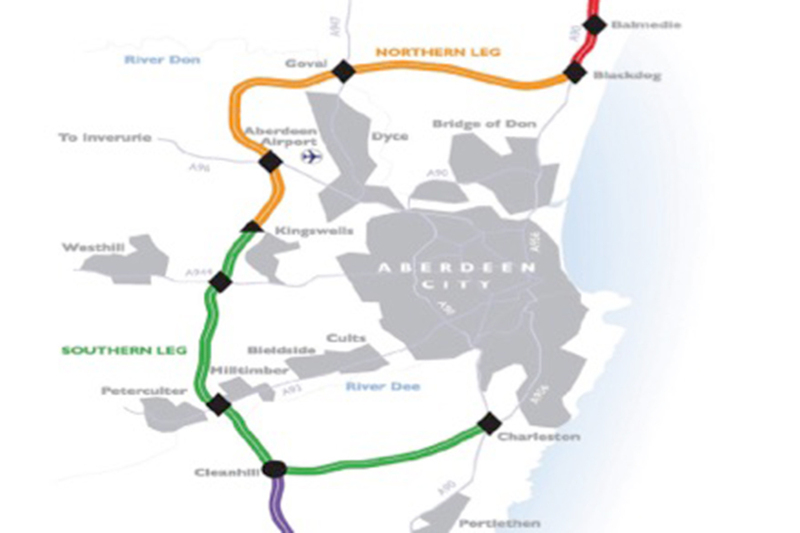 The AWPR incorporates approximately 46km off new off-line dual two and three lane all-purpose carriageway. Seven new major junctions are required together with major improvements to two existing junctions. Two new major river crossings at the River Dee and Don are included. A90 Balmedie to Tipperty includes approximately 9km of new off-line dual carriageway and approximately 3km of rehabilitated dual all-purpose roads also three new major junctions are required. Multi-discipline check of all designs prepared by DJV to ensure compliance with the New Works Requirements. liaising with both CJV and DJV throughout the works to ensure that all information is available to deliver all of our services timeously. Fairhurst’s extensive experience in designing major trunk road schemes and understanding the processes required proved invaluable in delivering the Independent Design Check. The Project Management Team successfully managed and coordinated both the “ in house” multi discipline teams as well as the external supporting sub-consultants to ensure the Contract programme was achieved.